Bearing assembly: A large diameter shaft with short overhang minimizes deflection and contributes to long bearing life. Only four through bolts are required to hold the cartridge type housing in the frame. 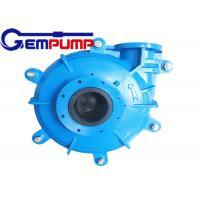 HA12 High Chromium 30% Cr Impeller, Liners, etc. 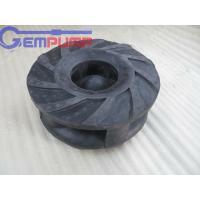 HA25 Ni-Cr-Mo Alloy Impeller, Liners, etc. 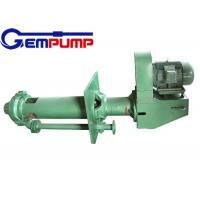 HC23 316 Stainless Steel Impeller, Liners, Shaft Sleeve, Stuffing Box, Expeller Ring, Expeller, Bolt, etc. 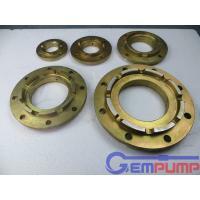 HD21 Grade 500-7 Cover Plate, Frame Plate, Base, Bearing Housing, Stuffing Box, etc. HE02 Grade 250 Structural Steel Bolts, etc. HE05 K1045 Carbon Steel Shaft, Bolts, etc. HG03 Grade T300 Cover Plate, Frame Plate, Base, Bearing Housing, Stuffing Box, Expeller Ring, Expeller, etc. 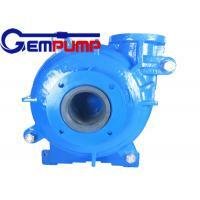 HR55 Polyisoprene Impeller, Liners, Expeller Ring, Expeller, etc. 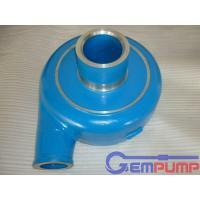 HS31 Chlorosulfonated Polyethylene Impeller, Liners, Expeller Ring, Expeller, etc. Shijiazhuang Jiemu Machinery Equipment Co., Ltd was established in 2010,located in Shijiazhuang City, Hebei Province,China. 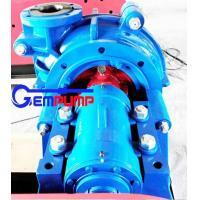 Our company is a leading manufacturer which has the capability of product design & development, manufacturing, sales & marketing, technical services in pumps.Such as slurry pumps, submersible pumps, multi-stage pumps, split-case pumps,self-priming pump etc,have been widely used in many field：Mineral processing,tailings transportation,coal washing,etc. Our factory is equipped with mould workshop, casting workshop, heat treatment workshop, forging workshop, machining workshop, assembly workshop and a wear-resistant material R&D Institute. 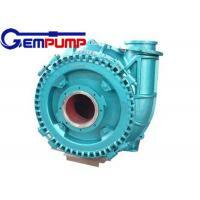 With a group of experienced engineers and elite managers, the company focuses to provide a variety of industrial pump products and supporting systems with related professional services for the metallurgical, mining, electricity, coal and chemical industries. 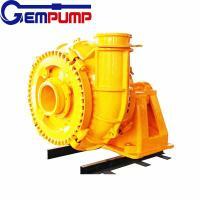 Our centrifugal water pumps have been exported to more than 50 overseas regions and countries,such as South Africa,Nigeria,Zambia,Madagascar,Mali,Ghana,Egypt,Laos,Vietnam,Thailand,Indonesia,Singapore,Malaysia,Philippines,Australia,Canada,USA,Russia,Kazakhstan. "Best product in market & innovation" is our quality policy of the enterprise;And we will constantly strengthen the internal management and apply our technological advantages to satisfy our customers. 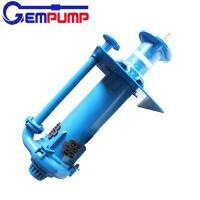 Our company's products include: ZJ horizontal slurry pump, ZJL vertical slurry pump,Warman AH horizontal metal liner slurry pump, Warman AHR rubber liner horizontal slurry pump, Warman SP vertical slurry pump, SPR rubber liner sump pump; TL desulfurization pump, TLR lined with sulfur pump; PN horizontal mud pump, PNL vertical mud pump; IS / IR clean water pump, D-type multi-stage high-pressure pump, S / SH-type water pump; Deep well water pump; centrifugal submersible pump; double suction split casing pump; self-priming pump; sewage pump; CQ series of chemical pumps and other related pump products, as well as slurry pump spare parts, mud pump accessories, multi-stage pump spare parts, magnetic pump accessories and semi-finished products. 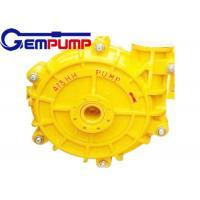 We can also provide OEM service. 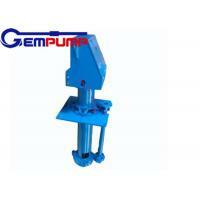 In addition, we provide best quality bearings and polyurethane rubber products. 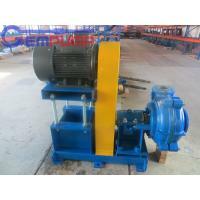 Shijiazhuang Jiemu machinery equipment co., Ltd will provide all our customers with excellent quality products with competitive prices, and professional after-sales service.Hope our pumps will bring more benefits to you and we can have a win-win cooperation.